We recently conducted a Design Thinking Workshop bringing our whole studio team together to work on a brief to transform our own workspace. Our aim is to create a studio design which gives a physical presence to DC LAB, the place where we generate ideas and welcomes visitors directly into our space. Ultimately this space will be the heart of our DC community. 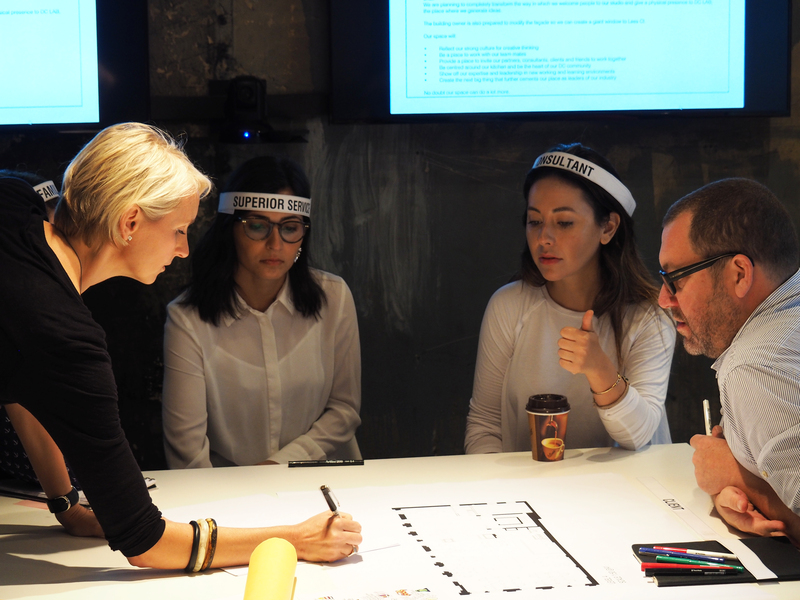 This particular Design Thinking Workshop had a particular emphasis on empathy. We explored deeply the needs of the people who use the space. To bring this to life, we each wore a ‘headband label’ to help trigger some role playing. This really helped us step into the mindset of the group we were representing so we could speak on their behalf in a more genuine way. Go to our Facebook to see the photos and look out for the video to follow soon.